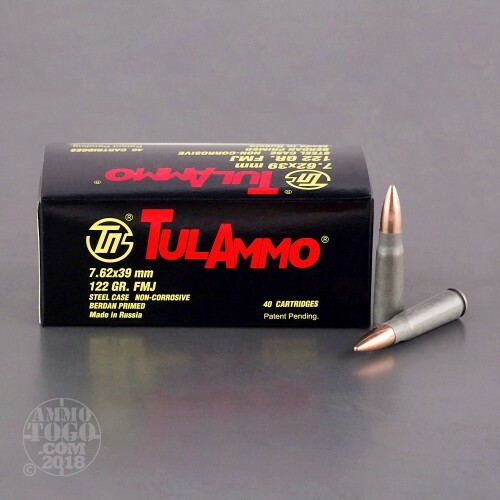 Tulammo is a great choice if you are looking for affordable range ammunition. 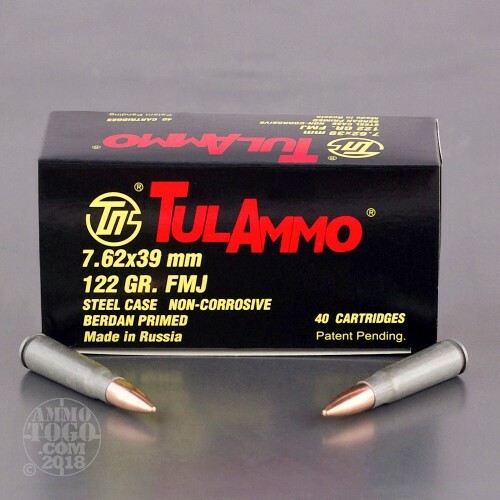 These 7.62x39mm rounds are loaded into cost effective, berdan primed, steel cases that are not re-loadable. 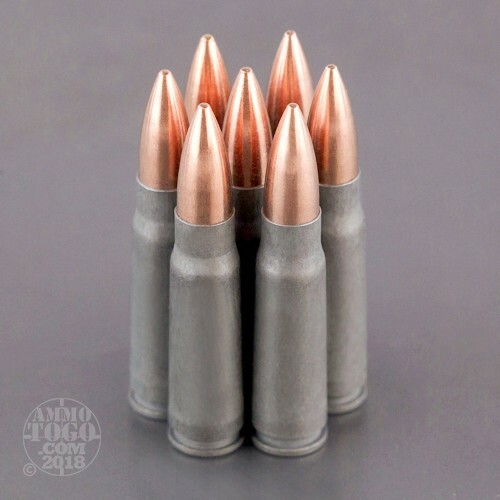 Each steel case features a 122 grain Full Metal Jacket projectile that is non-corrosive and leaves the barrel at 2,396 feet per second. Tulammo is manufactured in the legendary Tula Cartridge Works ammunition plant in Tula, Russia. They produce millions of steel cased rounds every year in a variety of calibers that are exported all over the world. 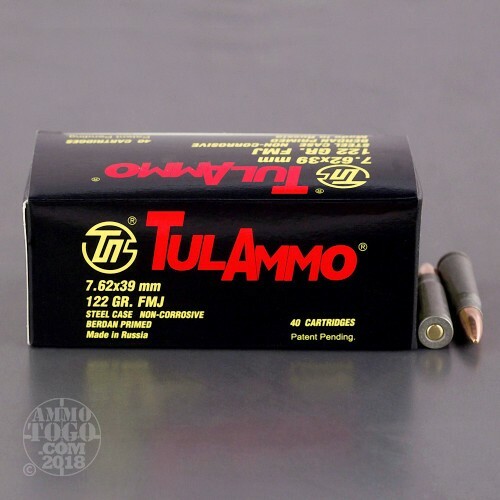 Pick up a few 40 rounds boxes of this affordable steel cased ammo and get out to the range! I was impressed with the speed of their delivery and the cost of their ammo. Have just placed a second order.